Since Airbnb came along in 2008, travellers have been able to experience a much more local and authentic stay in their chosen country. I've stayed in country houses in rural England, canal-side apartments in Amsterdam and an East Village studio in NYC. Every time, I've had a much more authentic encounter with the city I'm in. In New York City, my host took me in to stay with her in Brooklyn, during the aftermath of Hurricane Sandy, when Lower Manhattan (where my Airbnb apartment was) spiralled into chaos during a four day blackout. We have been firm friends ever since. In Barcelona, my apartment was just two blocks from one of the best tapas restaurants in town, and my host, a warm welcoming lady in her 70s, linked my arm, and we gossiped while she walked me to where the only open supermarket was, before hugging me goodbye. I've highlighted some top tips to find the best apartments on Airbnb and how to be a great guest (and even save some money too!). Choosing a great host (and being a great guest) can open you up to experiences that you will never forget, and who knows, even life long friends! You're more likely to be accepted as a guest if you have a verified account. And it only takes a few minutes! All you need to do is supply a scan of some ID (e.g. a passport), your phone number, and if you like, your Facebook account. This will give your prospective host some reassurance, especially if this is your first booking (and you have not yet received any reviews). This is a great way of pretty much guaranteeing a great Airbnb apartment, and a great host. Hosts can only gain Superhost status by receiving a 5 star review at least 80% of the time, maintained a 90% or more response rate, and to never have cancelled a confirmed booking. Take a look at your hosts listing, and make sure they have a profile picture, extensive details about their property, consistently good reviews and are responsive to reviews if guests have left feedback. If they take the time to reply to their guests and have detailed instructions (and good photos) of their listing, chances are they will care about their property and be a good host. One bad review isn't the end of the world. Especially if the host has replied and explained what went wrong. However if there are more than one, or the host has frequently cancelled the booking (this shows up as a review automatically), then it's probably good to steer clear. If you have any questions about the property (is it quiet, family friendly, is there any parking etc), it's absolutely fine to message the host. This way you can also build a rapport, and to see if you would be a good fit for each other. On my first trip to Rome, I was unfamiliar with where the best neighbourhoods to stay would be, but after chatting to my host via email, she explained the location and local area and it turned out to be perfect! Airbnb is built on good relationships between hosts and guests. Your reviews as a guest are just as important as the hosts, and prospective hosts will look at your profile to make sure you are verified and a good guest. Plus it always feels nice to get a good review right? First off, if you're planning on a longer stay, some properties offer this on their listing, but even if yours doesn't, it's fine to message your host and to ask for a discount. This worked for me, and I saved hundreds of dollars on a three month stay in New York. If you're taking your first trip, be sure to use a discount code! You can save £25/$30USD on your first ever booking by using this code. 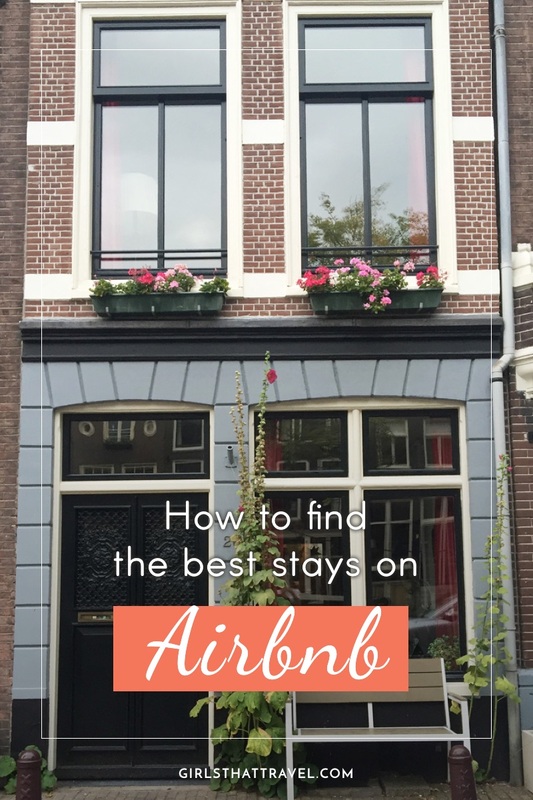 I would love to hear your comments below, or tips on how to get the best out of Airbnb!